This is an interview with Char Grossman, a Therapeutic Yoga Movement Specialist and a Nationally Certified School Psychologist. In 2004, Char founded YogaReach, a therapeutic adaptive yoga movement business. She was inspired to start this work after experiencing the power of yoga personally as it aided her complete and miraculous recovery from a traumatic medical incident. As her business grew and she learned more methods to strengthen the mind-body connection, Char developed an affinity for working with the Parkinson’s disease community to strengthen its physical, mental and social competency. YogaReach’s Mindful Movement therapeutic yoga classes are offered alongside a multitude of other Parkinson’s disease classes and support groups. My original motivation to serve people affected with Parkinson’s Disease (PD) began by working with participants at YogaReach. In addition, my father was (identified) diagnosed with Lewy Body Parkinsonism, so I was familiar with the disease. 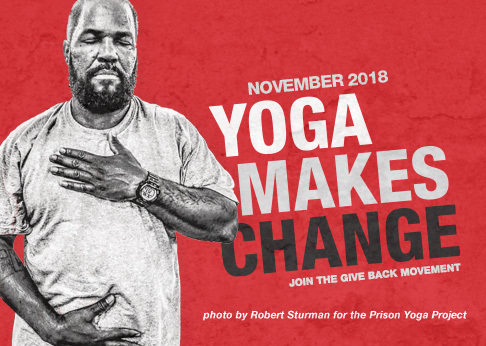 My motivation grew as I helped build yoga related programming for InMotion, a burgeoning Parkinson’s and movement disorder community-based non-profit center in Cleveland, OH. To teach people to enhance their abilities—not focus on their disabilities—is YogaReach’s mission. This center was a perfect place to reach people who have PD and others affected by the struggles that accompany this illness. People with symptoms heard about the new center and began to arrive. Not knowing what to expect, I observed their expressions of fear, insecurity, and uncertainty. However, as soon as these new members and their care-partners started participating in the classes, smiles, confidence, socialization, and feelings of empowerment developed. This sent my motivation to teach classes sky high. It’s inspiring to know that by touching people’s lives I can see a positive change within each individual. In the Mindful Movement sessions my team and I instruct participants in learning to breath, to feel energetic, improve posture, develop balance and coordination, express non-motoric emotions, and participate in meaningful daily functions. Bonnie, one of our participants, demonstrates every day how our Mindful Movement classes promote an optimistic lifestyle. The first day of classes, one year ago, Bonnie arrived and told us she does not exercise and would never do yoga. So she sat on a chair in the Mindful Movement class for three months, with sunglasses on, arms crossed and legs dangling. Beginning in the fourth month, Bonnie walked in and suddenly decided to practice; she has now attended over 90 classes. She has learned that breathing naturally calms her nervous system, improves her motor skills, posture, and she even balances on one foot without holding onto a chair. Bonnie and our other participants has inspired all of us to keep growing our abilities. What are some of the things your PD students have taught you? The most important lesson I was taught is to individualize and acknowledge each person’s distinct abilities. Whether the student has been diagnosed with Juvenile Parkinson’s, Young-Onset or Adult-Onset, they deserve to practice yoga with a personal holistic approach. People affected with PD may display motoric and/or non-motoric symptoms. The person may exhibit a resting tremor, bradykinesia, muscle stiffness, depression, or speech issues. Therefore, we need to be knowledgeable about the diagnosis and make teaching adaptive yoga movements natural so they easily carry over to the person’s daily functioning needs. Individualized assessment during a group lesson is imperative. Learning to focus attention on each person is vital. I have much gratitude for my students and what they teach me. In what ways do you think yoga addresses some of the societal factors at play in working with people living with PD? Prior to the PD diagnosis, driving a car, going to the grocery store, hanging out at Starbucks, picking up a package, sleeping during the night, or celebrating an event with family were all easily achieved. A diagnosis converts all of these simple actions into challenges, which quickly become social challenges. In order to re-establish confidence, awareness, and self-efficacy, our therapeutic adaptive yoga program addresses strategies to increase measured breath, mobility, balance, muscle strength, range of motion, aid psychosocial issues, and build mindfulness and relaxation skills. By teaching participants hands-on practical exercises, we can help them control and improve the ease of their daily responsibilities. Social activities with friends and family become simpler. Reaching groceries from a shelf and placing them into a basket, and/or holding the coffee cup while opening the exit door at the coffee shop is now easier and fun to do. Anger and embarrassment subside as the person living with PD is now rediscovering her ability to be independent and confident in her everyday life. Mindfulness is the key to positive social change. My personal practice of mindfulness incorporates the simple training of bringing awareness and acceptance to the present moment and releasing concerns and uncertainties. Our inner growth from practicing mindfulness helps us to outwardly promote positive social change. The relationship in my mind between mindfulness practice and social change is that people are more able to focus while building positive relationships, reducing worldly differences, and learning how to live in the here and now. Parkinson’s disease is a chronic, degenerative, neurological disorder. My dream is for hospitals all over the world to incorporate a therapeutic yoga regime as part of their standard care to help this growing population. I see evidence that yoga is beginning to be incorporated into corporate health and wellness treatment, but we are not there yet. By uniting thought and action, our therapeutic yoga standards encourages those who work with us to strengthen skills that may have become weakened, gain new skills we may have thought impossible and continue he to develop rewarding services.